Much better! I can see you've improved in your technique. I really like the idea of a front facing cardinal, really unique. I think you should reduce the amount of spikes on the head to three, it just seems a tad too jagged. Make the top point thicker as well. Yeah I'd agree that there are too many spikes/edges in general. Also don't think the darker red shadow is needed. You could probably execute the highlight on the beak better as well. The eyes look sort of cross eyed so maybe theres a way to rethink the shapes and change that. I get why you have it like you do, but maybe it needs to be finessed a bit more. I think it looks much better, but more C&C would still be very much appreciated. Thanks. Good job on improving it. It looks better. I would suggest adding white highlights on the right side and either eliminating the shadows or keeping them only on the left side. What if you made the front facing logo a little thinner? I'm back with another update to the logo. On this version, I changed the entire right side of the face to the darker shade of red that i used for the shadows on the left side. Also, I made the head a little thinner, and moved the eyes closer to the beak. To me, the spikeyness of the outer part of the head reads more like fur than feathers. Rounding out the edges of the spikes slightly may give them more of a feather feel (???). I like the shaded right side, but now that creates an inconsistency with the beak color and highlight. The left side shading is also inconsistent, with a low light at both the top and at the bottom. Consider the angle the light would be coming from to cause highlights, low lights, and shadowing. 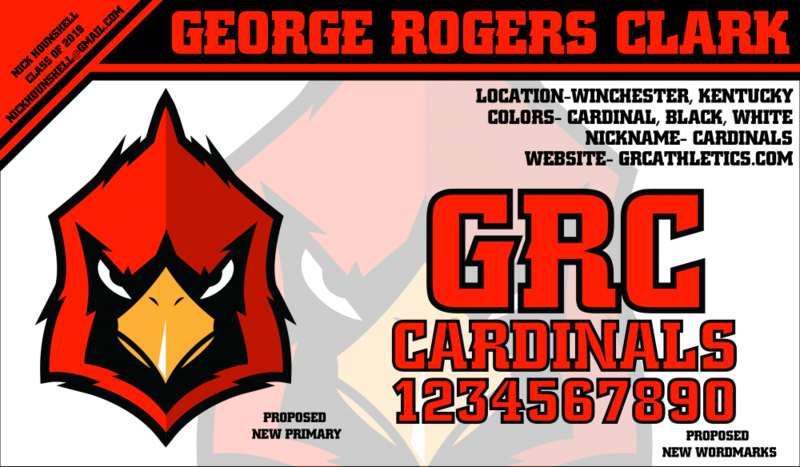 Another thing to consider before actually submitting an unsolicited design to the school is cost. If I count correctly you have 5-6 different colors being used. 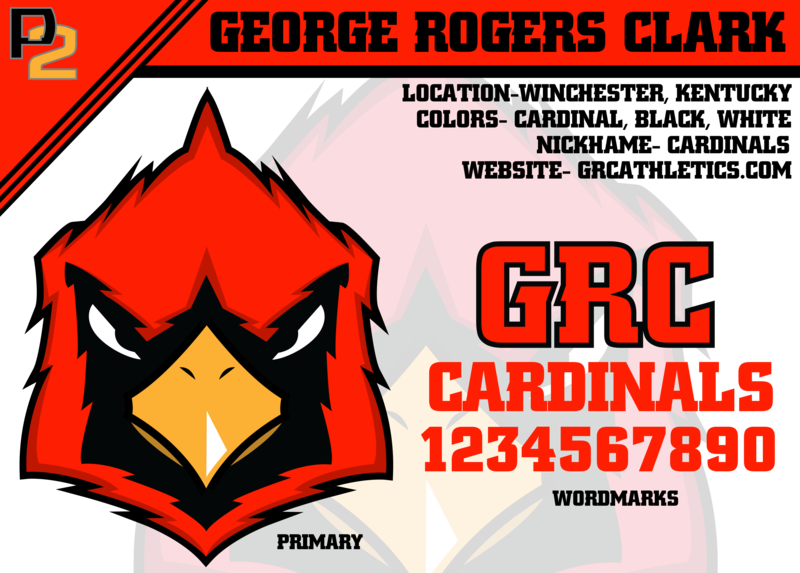 It costs a lot more money to produce letterheads, t-shirts, uniforms, etc., using a logo with that many colors. High schools have a much smaller budget than university or professional teams. Many high schools will want to limit the colors to 3 or less for budget reasons. I also suggest you develop a black and white, one color, and 2 color versions on a variety different backgrounds (you don't have to count the background as a color). 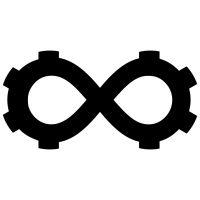 Also, think about how you would use this logo on a black background (you may need a thin stroke outline). I would remove the dark red above the right eye (the left of the screen). Maybe make the overall head a little bit thinner even...Other than that great work I really like it a lot. So, I think I may be finished, but I'm going to post these for one last round of C&C. So what I did in this version of the final primary was I removed all shadows from the right side of the face, I made the bottom parts of the beak the same color as the top, to eliminate an additional color, and I moved the highlight on the beak to the left side. Here is what I plan on sending to the AD. Thank you guys for all of the suggestions! 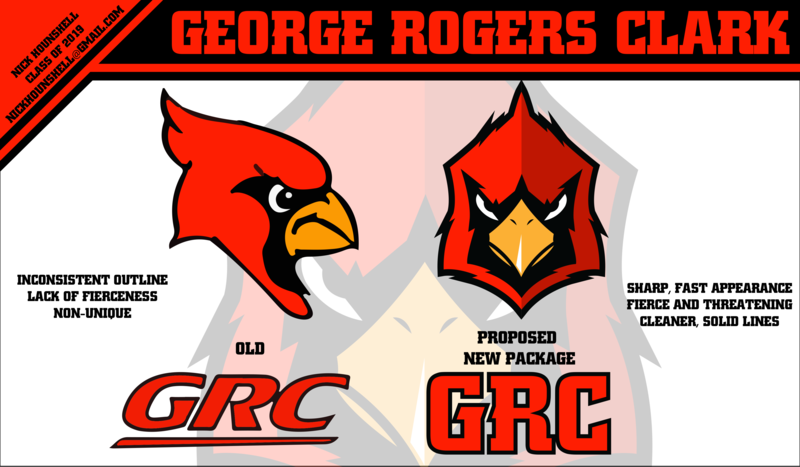 I assume that if your school has a football team, they'll use the "GRC" wordmark on the helmet? I ask because the front facing bird, to me, would look awkward on the side of a helmet. I think that, if you're planning to submit this for use, the little things like that should also be addressed. Look at it like a school project, and get all the detail straightened out so you you present something that would get an "A", or in this case, something that would be adopted as THE look for your school. I'm really glad this is progressing so well. Although cardinals tend to be more sleek than spiked, I really like this approach. That said, there are four things that still stick out to me (almost literally). The spikes on either side of the head and the lowest of the spikes at the top of the head. The black stroke on those stick out too far, I think, particularly at the top of the head. If you eliminate that black stroke, each set of spikes is higher than the other until the peak. Add it back in, and the stoke for the lowest set of spikes is higher than that of the middle spikes. Does that make sense? Good Luck. I love when high schools use a custom logo vs copying something from pros or college. One thing to think of his how this logo will look embroidered onto apparel. And how easy it will be to do so. Believe it or not, our school actually just currently uses a basic matte black shell with nothing on it. That being said though, they did use to have only a "GRC" wordmark on it. It sure does! 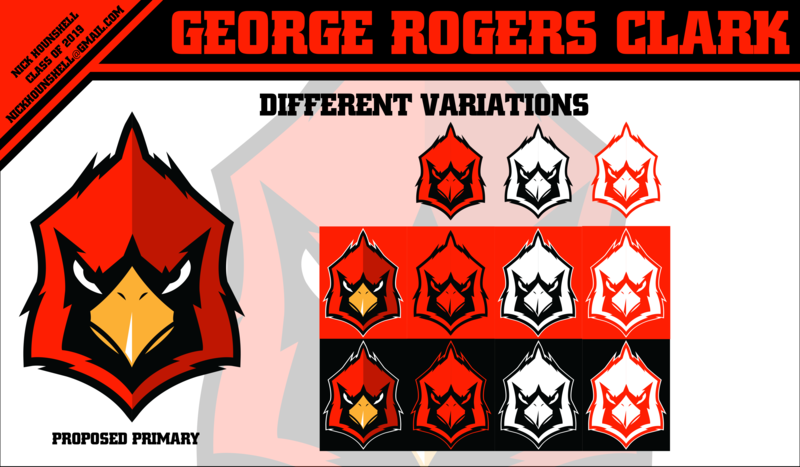 I also like the spikes, I think it sets it apart from other cardinal logos (as well as the front facing part) but I will try to fix that whole stroke issue. Sorry for how big the images are, I can't seem to resize them. So, after I sent my AD that he pulled me out of class about a week and a half later, wearing a hoodie with my logo on it. He told me it was just to see how it looked, but most of the teachers in my school really liked it, and that if he ordered more I would definitely get one. So if that ever happens I'll definitely give you all a look at the hoodie. If you made it this far, Thank You! 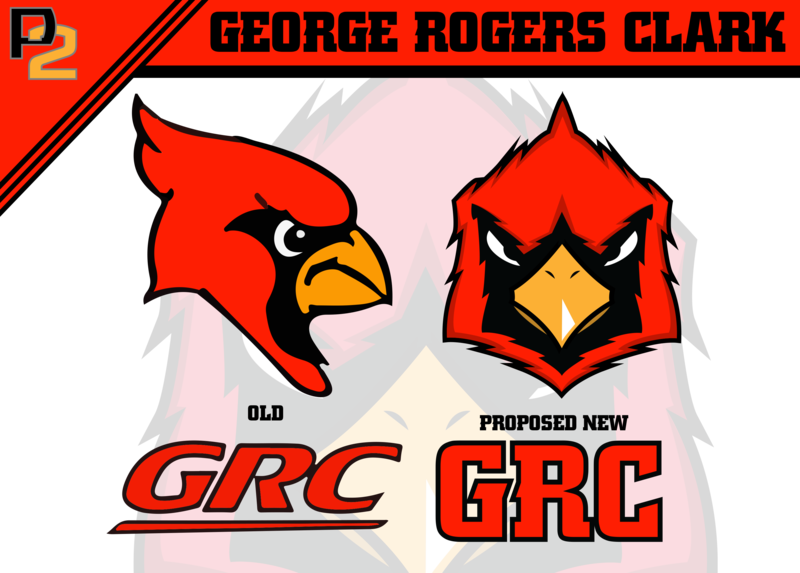 The bird holding the GRC is definitely stronger with your lettering than what the school currently uses with the underline. I definitely agree, but I guess the administration gets what they want right? Yea, I was going for a look to make the claws like stand out at you. Thank you though!